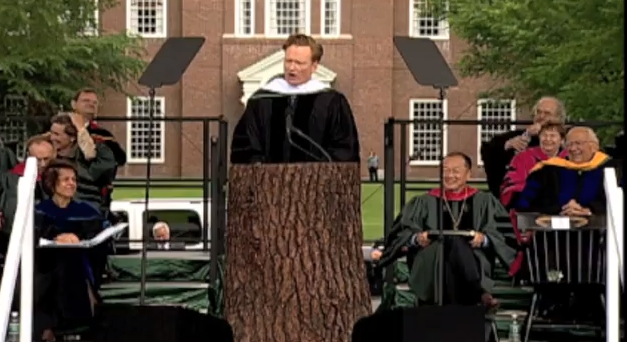 Who wouldn’t want Conan O’Brien to give the main address at their college commencement ceremony?! Instead of passing out from boredom, you’d pass out from laughing so hard…. The lucky graduates at Dartmouth College’s 2011 Commencement exercises on Sunday morning got this treat….check it out… these are the highlights! WATCH: Katy Perry ‘Last Friday Night’ (TGIF) Official Video, Star Studded FUN!